Active since 2016-04-06T17:14:20Z. Last seen 2019-03-02T16:40:21Z. I am a really great fan of Markdown. This is mainly because it is one of the few Markup languages that produces clear, neat source files during the writing process as well as structured, good-looking websites after rendering. So it is not surprising that I have been using Markdown for project documentation for quite a while now. Normally project documentations tend to consist of more then one document. So there is this static website generator called mkdocs that generates a complete website out of multiple Markdown documents arranged in a directory structure. It can be enhanced by a number of plugins that make it much easier to create a layout of your liking. Gradually I developed a certain project structure with always the same Plugins installed and it showed that I had to do the same steps over and over again for each new project. I figured it would be great to use some kind of template system. Luckily I heard about Cookiecutter which is a command-line utility that creates projects from so-called "cookie cutters" which are basically project templates. Here I will show how to create a mkdocs template with Cookiecutter that you can use everytime you create a new project documentation. We will also use the still new pipenv virtual environment and package manager to automatically install the needed Markdown plugins. I wanted to be able to switch fast between different network configurations on my Windows development PC without using any kind of 3rd party software. So I had a quick look on Stackoverflow and found the beautiful wmi package. Windows Management Instrumentation (WMI) is Microsoft’s implementation of Web-Based Enterprise Management (WBEM), an industry initiative to provide a Common Information Model (CIM) for pretty much any information about a computer system. And the wmi package is a Python wrapper for it on top of pywin32. As a developer I endeavor to keep a consistent working environment on all of my computers. Meaning editing with VIM, version-controlling with GIT and using all the cool POSIX tools directly from the Terminal to do whatever. At home I use Mac OS X and for servers I use Debian. So working with the terminal is basically the same for both systems. Unfortunately on Windows it is not as easy to setup a proper toolchain as it is not a Posix compliant operating system. So instead of a powerful shell like Bash with lots of helper tools you get the Commandline with almost nothing. Luckily there is Cygwin which brings some kind of Linux-flaire to Windows by providing Posix tools and a nice terminal called mintty. Still it is not the same as running on Linux but it is a step in the right direction. The main drawback using Cygwin is that you are still on Windows. Meaning you can't just clone a Github repository and compile it. When you do so there is always something missing. Also you keep running into trouble with Cygwins way of putting all drives in /cygdrive instead of using the native drive letters on Windows. So to get the real Linux feeling I decided to actually use real Linux ... in a virtual machine. This is Part 3 of my tutorial for Flask Webserver Deployment. In the last section we prepared our server for serving a Flask application. We created a small Flask test application and finally started up the Flask development server. In this part we will use a more production ready server called Gunicorn to run the application. This is Part 2 of my tutorial for Flask Webserver Deployment. In the last section we acquired our own personal Linux server. 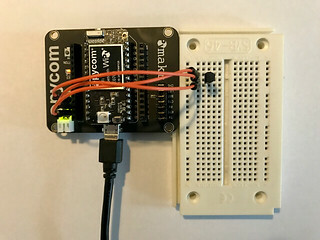 Now we want to get connected to it and run our first Flask Test Application. Hello World again. This is my second post and I'm going to write about the steps it took me to get my Flask Application deployed to a Webserver. Hello, my name is Stefan and I wrote this small blogging platform in Python using its great Flask microframework. I was guided along the way by the very recommendable book "Flask Web Development" from Miguel Grinberg. After some days of work this is my first post on this platform and it seems to work. Actually I have been programming Python for a while now. It is a great programming language and for me it was just fun to get to know more and more features of the language and available packages. I actually got into web-programming by beer... , yes beer... I'm not only a coder but also a homebrewer (I will write about my brewing experiences in this blog later on). To make my life as a homebrewer a bit easier I was working on a brewing controller, a Raspberry Pi controlling my mashing and brewing temperatures. I first came in touch with Flask when I was looking for a way to build a nice-looking GUI for the brewing controller. I immediately liked its simplicity and modularity. During the learning progress I came across Miguel Grinbergs "Flask Mega Tutorial" in which he points out the main features of Flask and some of its Addons by developing a microblogging platform. I liked it very much so I decided to buy his book and create my own blog basing on it. So now we're here. I want to write about my coding experiences especially by extending the functionality of this blog. Also I want to write about my brewing experiences and new beer creations. So I think there will be plenty to write about in the time to come. To keep the orientation one of my next objectives will be to add Tags to the posts.